Our little cottage has just been renovated and is comfortable and well equipped. Privately owned and cared for, it will be fully serviced before you arrive, the bed made up with clean linen and towels, and the air fresh and clean. Only 150 meters to the beach. The cottage has a grassed play area, and sealed car parking at the door. There is a small washing machine in the kitchen and a clothes line close to our cottage. Our little garden is now safely fenced. Fully equipped including satellite TV and a DVD player and free wi-fi access. Close to Central Paihia where you will find every attraction you can think of - boat trips, fishing, diving, sailing, great restaurants, shops, clubs, sky diving, scenic flights, coach trips, golf, bowls, bridge, gym, etc. Smoking allowed outside only, please. Small pets allowed but please ask first. Do not leave pets alone in the cottage please. Plenty of space to park car and boat. After retiring from the University in Scotland I travelled to many countries and the Bay of Islands was the most beautiful, friendly, and interesting place I found. After visiting here several times I decided to buy a house and move here. That was one of the best decisions I ever made. The advantage of this little cottage is it is fully self-contained with its own little area of land. We bought it so our family and friends from the UK could visit us and over the years we have improved it in many ways. Ideal for a couple seeking a peaceful retreat, beautiful scenery, with easy access to great restaurants and plenty of things to do. bathtub and shower, wash basin and separate wc. There is an additional dining area on the covered deck outside. Small, secure, fully fenced garden. Boats can be hired in Paihia or you can bring your own. Plenty of space for parking a boat. Small covered deck with barbecue and dining area. Waitangi Golf Course is just two miles away. 18 hole course with great views. Visitors welcome. Good, clean and tidy cottage. Quiet and peaceful. Good easy walk to town, away from the crowds! Thank you Glennis. I'm so glad you enjoyed your holiday with us. Do come again. Great location, driving distance to town. Private and sunny- reasonable distance from other units. Kitchen has lots utensils with oven, microwave , fridge and freezer.. Bedroom warm and bed comfortable. Good shower over bath. Excellent communication from owner. Comfortable, well equipped cottage in a quiet area. Well equipped with everything we needed. Angela was helpful and flexible with our arrangements . Nice clean and tidy wee cottage in a quiet location. Musty smell however a little off-putting. Great clean and tidy cottage with everything we needed in a quiet location a short drive from town. The cottage has air conditioning and also HRV to purify and refresh the air. We always put fresh flowers in the cottage and make sure it is spotlessly clean. The cottage was just like home away from home with all mod cons and very clean and tidy. The owner tried hard to make everything nice including flowers and correspondence regarding instructions on how to find it. Very obliging. Only comment would be the water pressure was low so showers were not as good as they could be. Lovely covered deck area and yard, good for all weather BBQ's, children and a dog. Would definitely stay again. 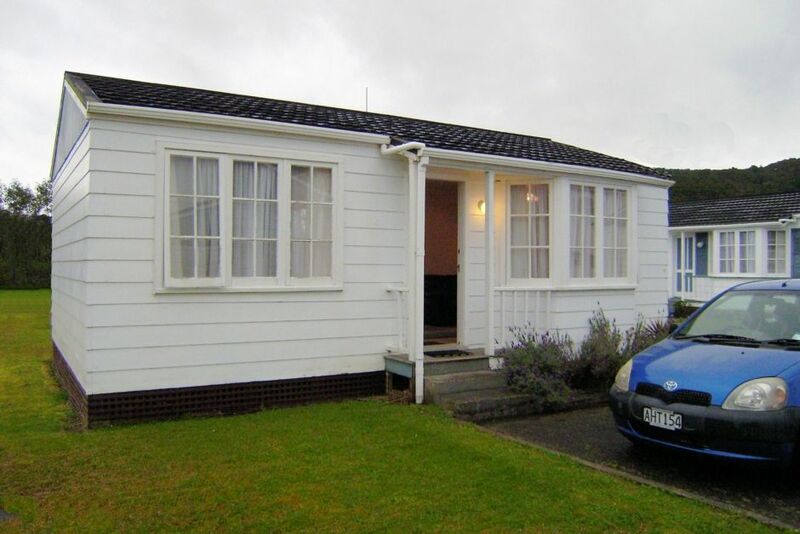 Angela's cottage is in a quiet area close to the beach, but less than a mile from the busy tourist resort of Paihia. There are some excellent restaurants and a wide range of water based activities and land based sports and recreations. The treaty between Maori and the British was signed at Waitangi, just two miles away. The Treaty Grounds and Museum at Waitangi are spectacular, both for their historical interest and beautiful scenery. The little cafe in the trees on the Treaty grounds is well worth a visit.